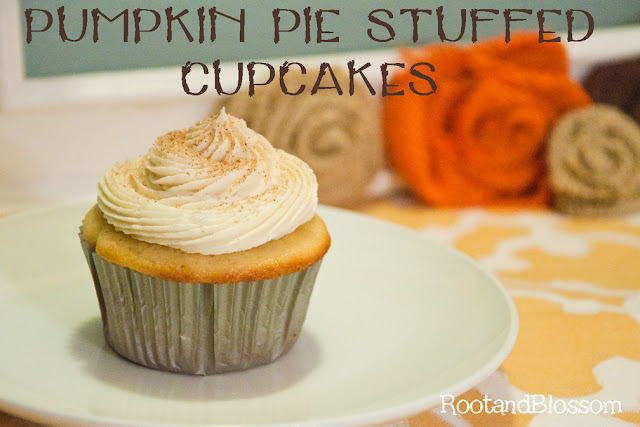 I used pre-made store-bought pie crust. With a 2" circle cookie cutter make as many pie crust circles as possible, balling up and rolling out the dough remains to cut out more. 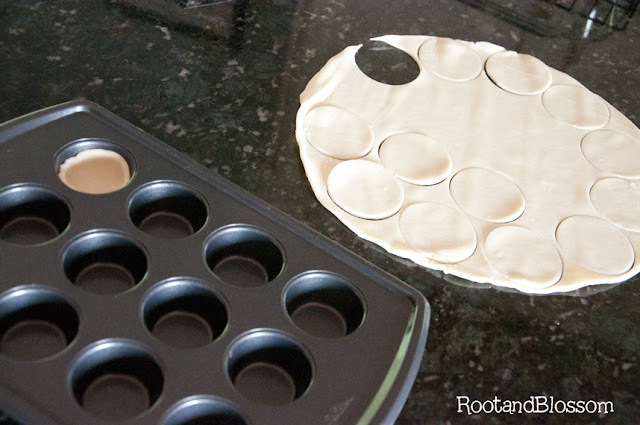 Place dough into mini-muffin tins, poke holes in the bottom of crust with a fork. Make pumpkin pie filling by following directions on the can (you will make about a cup or so more than you need, you can be creative with the rest!) and fill each crust almost to the top. Bake at 350'F for 20 minutes. 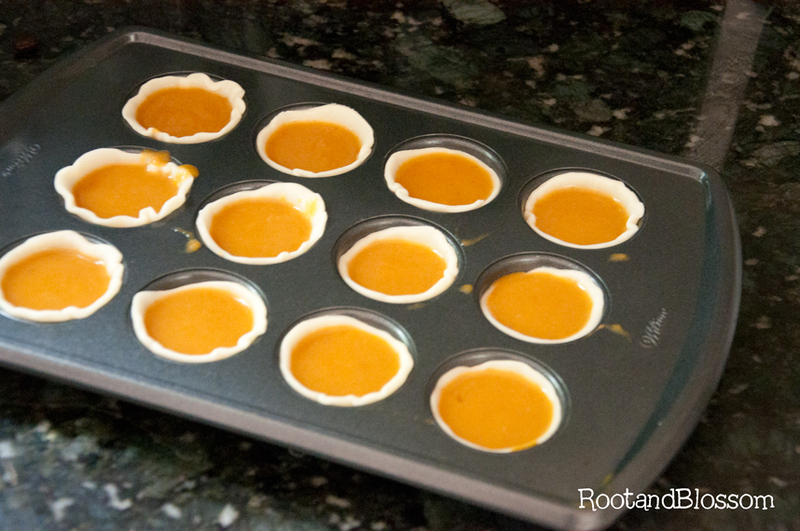 Pop out mini pies and let cool on a cooling rack. Directions: Preheat the oven to 350'F. 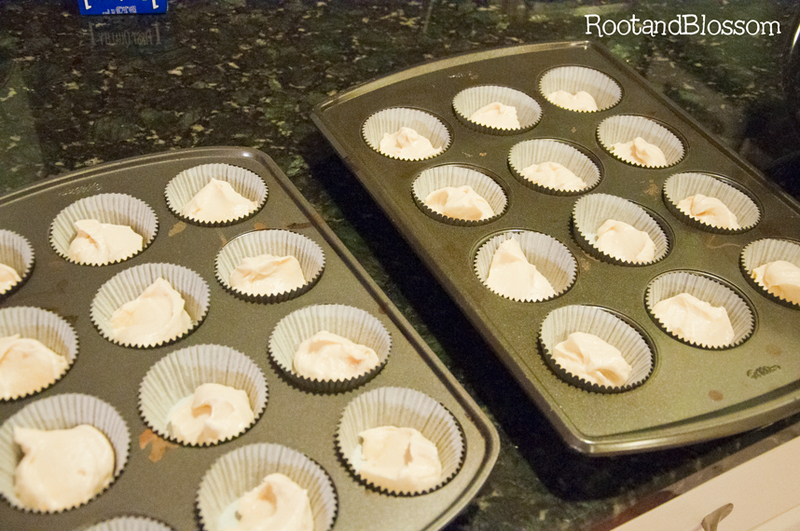 Line muffin pan with paper liners. In a mixing bowl, cream together the sugar and butter. Beat in the eggs, one at a time, then mix in the vanilla. Combine the flour and baking powder, add to the creamed mixture, alternating with the milk. mix until smooth. 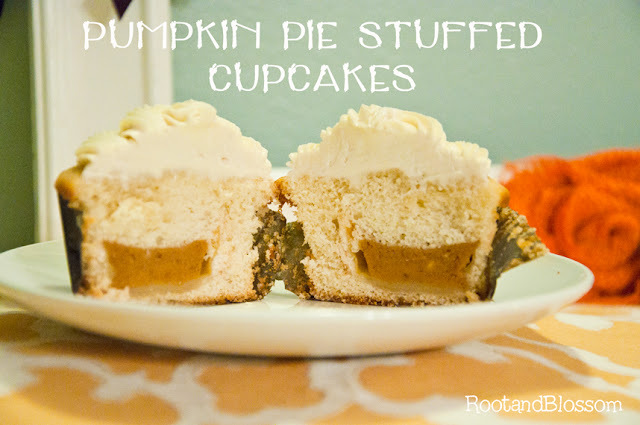 Place one spoon of batter in the bottom of each liner, place a mini pumpkin pie in the batter, spoon some more batter on the top. Do not worry about completely covering the pie, the cake batter will rise while baking and cover the pie up! Bake 20-25 minutes. 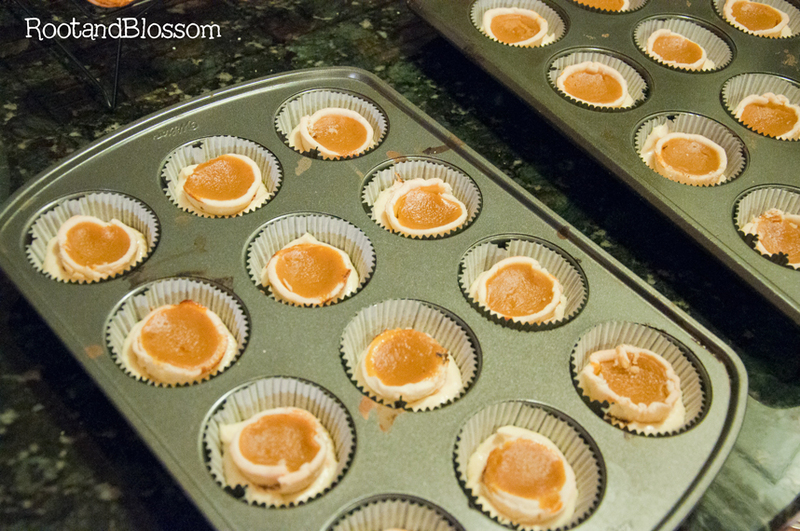 Cupcakes are finished when they spring back to the touch. Directions: Beat butter by itself for a couple minutes in the mixer with the paddle attachment on medium speed. Add your powdered sugar a cup at a time on the lowest speed. 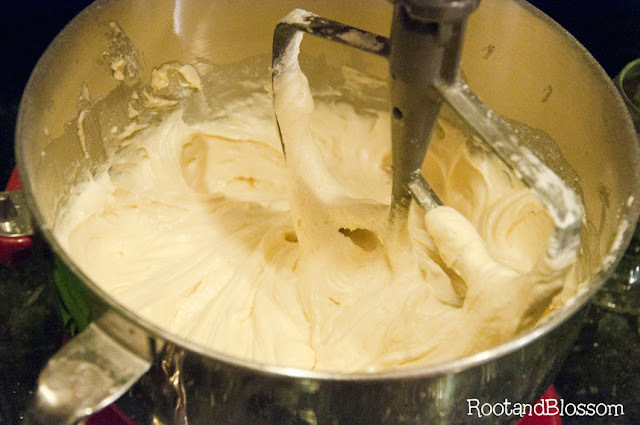 Once sugar has mixed with the butter turn mixer back to medium and add the salt, vanilla and milk. Beat for 3 minutes. Frost cupcakes as desired, sprinkle with cinnamon sugar and enjoy!